Achieving the Sustainable Development Goals by 2030 is ambitious and tests national governments' capacity to address human development challenges, such as access to quality education. Collaborative initiatives that leverage the capacity of diverse stakeholders will be essential to meet the education and learning needs of the world's children, particularly the most vulnerable. Teaching at the Right Level in Pakistan is a cooperative example characterized by Education Diplomacy principles of community-based participation, partnership, and sustainability that supports the potential of every child. who are attending primary school and yet are unable to read proficiently is strong evidence of this learning crisis and children's needs being underserved. The increased emphasis on “inclusive and quality education for all,” a commitment globally adopted as Goal 4 of the UN Sustainable Development Goals (SDGs), has led to educators seeking multi-sectoral partnerships and collaborations to focus on providing quality education. There is an overwhelming demand for programs and services to address the education crisis, and it cannot be met with stand-alone programs or by private sector, NGOs, or governments working alone. Strategic diplomatic cooperation among diverse stakeholders has become critical to propel societies and nations toward a path that is stable and resilient. Partnerships in education have become a strategic arm to support countries in adopting a systems approach to strengthen education processes and improve learning. Effective partnerships help to align the capacity of system actors to collaboratively close the learning gap, while working within the country constraints. The Taormina Progress Report: Investing in Education for Mutual Prosperity, Peace and Development, released recently by G7 Accountability Working Group, also recognizes the urgency for governments and all actors of change to work together for sustainable and shared prosperity. The “Teaching at the Right Level” (TaRL) approach navigates this constructive model of Education Diplomacy to address the learning needs of out-of-school children and vulnerable groups. In several low- and low middle-income countries, an unacceptably large number of children are not learning. According to the data estimates by UNESCO Institute for Statistics,2 2 http://www.livemint.com/Opinion/NOcuHXhNXENgk9wTssYvLM/A-learning-crisis-in-the-developing-world.html View all notes about 88% of children in sub-Saharan Africa are not able to read properly or do simple math by the time they finish middle school. South and central Asia comes a close second, with 81% of children in the region not learning the basic minimum. The World Development Report 2018, released by the World Bank, calls this crisis a “moral crisis” rather than a “learning crisis,” as inequalities between and within countries continue multiplying. The context in Pakistan is no different, where recent evidence from the citizen-led Annual Status of Education Report (ASER) and government-led initiatives reveals that even after five years of schooling, more than half the children in grade 5 cannot read a sentence in English fluently. Even in upper primary grades, significant proportions of children struggle with basic tasks like reading, comprehension, and basic number knowledge or operations. The constitution, state legislations, and policy reforms, such as Article 25-A, which guarantees free and compulsory education for all children between 5-16 years of age, has provided impetus. However, the focus on quality remains compromised and implementation is delayed. The government has been increasingly vocal in acknowledging openly its inability to cope with human development challenges. Thus, it is not surprising that the last couple of years have seen the government mobilizing partnerships and coalitions with diverse stakeholders (development partners, civil society, philanthropists, industries and corporate sector, community, families, etc.) as a means of bridging governance and resource gaps in addressing the educational needs of children and adults for the 21st century and beyond. 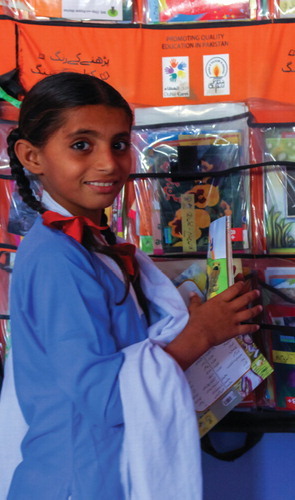 TaRL, launched by Pratham India in 2007, is an example of such programs (implemented in Pakistan and beyond), employing an effective approach to building partnerships between government, schools, and communities that helps out-of-school children to gain basic literacy and numeracy skills in a short period of time and at relatively low cost. Rigorously evaluated and found to be effective for both school-based and community-based interventions, the approach has successfully expanded over the years into many South Asian and sub-Saharan African countries. Implemented in Pakistan by Idara-e-Taleem-o-Aagahi and supported by Dubai Cares over a period of three years (January 2014-December 2016), this program was conceptualized as a targeted program to address the twin challenges of access and learning for the most vulnerable and marginalized children, particularly those who have never had access to formal schooling and are facing multiple challenges of isolation and marginalization. The goal is to help put out-of-school children into school and provide intensive bursts of remedial education in reading and mathematics through learning camps called “Chalo Parho Barho” (Let's read and grow) for out-of-school children and primary school children (grades 3–5) who are behind in basic literacy and numeracy skills. The program begins with testing of children (ages 6-12) at the household level. Based on this assessment, children are selected for learning camps to be set up at the identified schools during regular school times. In-school children at risk of dropping out (grades 3-5) also take part in the camp. Children are grouped by ability rather than by age and grade, and the camps use Pratham's rigorously evaluated TaRL methodology and their “Combined Activities for Maximized Learning” (CAMaL) pedagogy. Teaching and learning activities and materials are tailored to each group, are interactive and group based, and are designed to help children move to the next level. Teachers conduct the learning camps in two sessions: whole-class activities where children watch, listen, or talk about what they have seen or heard followed by small-group activities in language and math. A quick one-on-one assessment of every child is undertaken every 15 days (baseline, midline, and endline) to determine the child's progress. Upon successful completion of the camp and acquiring basic literacy and numeracy skills, children are mainstreamed into regular schools. The trajectory of mainstreamed children is robustly followed throughout the project span to counter any dropouts and report retention. Rooted in a community-driven approach, customized options are offered for targeted groups that are complex but simply executed; they are inclusive, protective, systems-oriented, and embedded into alliances for scalability and sustainability. The program relies on the support and engagement of parents, siblings, teachers, school management committees, and other members of the community to create stronger education systems that will benefit every child and support lasting change even after the funding cycle ends. Para teachers (one for each camp) from the local community, hired for a nominal honorarium, are trained to lead the learning camps and mobilize community engagement. From the very onset of the program, the model is reviewed with the government to align with quality targets. Being an open source tool, it can be accessed by anyone within and beyond the borders for mutual sustainability. Education and learning today are not about primary education alone. The bar has been raised to 10-12 years of basic learning to equip students for a world we cannot even imagine! Education and interdependence lies at the core of sustainable societies within and beyond national boundaries, and so new models of workforce development and diversification are needed. Such conceptualizations can only thrive on the principles of inclusion, gender equality/empowerment, simply executed solutions, and partnerships for mutual survival.